If you are someone that enjoys being on the go, then you know it can be challenging to always make it happen. 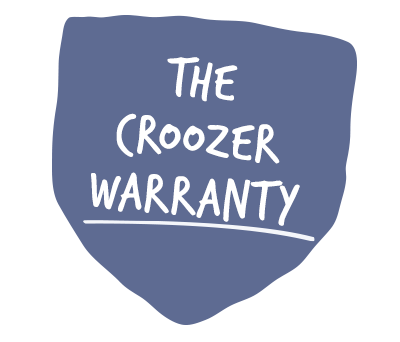 Croozer took that into consideration and made it possible for you to easily switch from a jogger, to a stroller, to a bike trailer. Choose the Croozer design that best suits your lifestyle and you’re sure to see a difference in just how easy going out and experiencing life, can be. 3in1: Bicycle trailer incl. trailer kit, stroller kit, and jogger kit, with Click & Crooz® fastening system, Croozer AirPad® suspension and integrated sensor light. NEW 2019: ventilation insert, floor protection tray & head pad. ►Scope of delivery and prices may vary. 3in1: incl. Bike, Buggy & Jogging Kit, incl. 2 axle hitches Click & Crooz®. NEW 2019: ventilation insert, floor protection tray & head pad. ►Scope of delivery and prices may vary.